The study included a total of 14 HLHS patients: 7 patients received cells originating from cardiac tissue, and 7 patients received no cells, as the control. The cardiac tissue cells were first extracted during each individual’s surgery. Next, the cells were processed and then injected into the heart just 33 days after the procedure. The patients each received 300,000 cells per kilogram during the injection. 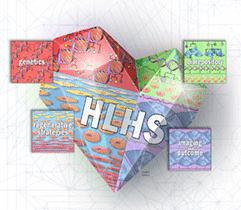 The results published by the team reveal both the safety and preliminary effectiveness of injecting cells into the hearts of HLHS patients. Not only is this study truly pioneering in the HLHS field, but also in the congenital heart disease world as a whole. There have been no other studies that have examined the safety or effectiveness of using cell-based treatments in the pediatric population. The landmark paper has also demonstrated that the younger the patients are, the better their outcomes are with cell-based treatments. Currently, the same researchers from Okayama University Hospital are focused on another clinical trial looking into the overall efficacy of these cells. Establishing the efficacy of this procedure will bring the HLHS world one step closer to finding new treatment options for this disease. Japan is not alone! We are currently conducting our own clinical trials using cell-based therapies in our work here at Mayo. In fact, some of our work includes collecting the cells from the child’s cord blood, processing them, and then injecting the cells into the right ventricle during the Glenn procedure. We have published preliminary results from our first case study, which can be found here. For more information on the work we are doing, please contact us at HLHS@mayo.edu. Congratulations to the Okayama University Hospital for their promising work in the HLHS field and we look forward to what the near future holds for cell-based treatments!